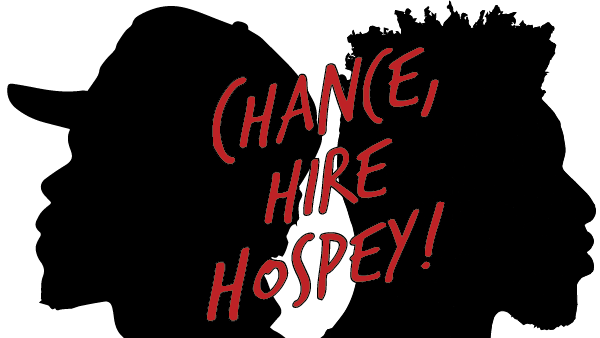 Chance, hire Hospey! – "listen to the kids, bro." DATE TBA: Hospey becomes Chance the Rapper’s intern?? Please accept the following letter, portfolio, and website as my application for the position of intern for Chance the Rapper. I am a recent university graduate from the University of Calgary, in Calgary, Canada, having completed a Bachelor of Communication Studies as a 2nd-year transfer from Marketing in the Haskayne School of Business. With specialization in social media & marketing-communications, I have excellent verbal & written skills, demonstrated through vast experience in both physical & digital environments. As an entrepreneur, I have launched 2 successful lifestyle brands in the college-age demographic, with focuses on music, urban culture, and general youth-lifestyle. Personal interests include music, fashion, and content creation. As a long time follower, participant, and documentarian of the Chance the Rapper brand (and related acts), I believe that my skill set, knowledge, and experience make me an extremely strong candidate for the position. My diverse academic background has allowed me to refine my tools from an analytical & problem-solving standpoint, although my personal ventures have shaped my creative achievements. Each of my skills, including writing, publishing, design, video production, and visual art have all been self-taught and developed through trial & error. What better tool for a creative than some free time and the internet? At 17, I began university and launched my first partnered YouTube channel in the same year. At age 20, I switched degree streams to something that would allow me to strive creatively, and founded my website Redleafgoldteeth (a play on words, meant to represent Canadian urban culture) for fun. By 21 my website had over 100,000 hits in its first year, and my venture expanded from a solo mission to a team of 7 multi-talented creatives. We launched clothing lines, hosted world premieres, dropped exclusive interviews with artists, and have accomplished over 200,000 pageviews to date. Most importantly, following the teachings of my favourite artist, we made this all possible while staying completely independent; No advertisements, no paid song releases or commissioned posts. Everything self-funded through clothing sales or student loans, because to us the impact that we could have on the culture was more important than anything else. I graduated in December at 21 years old with a sub-par GPA and goals that no piece of paper would help me achieve. Now 22, I have launched my latest venture – an attempt to further my online identity, hospeyhowto.com – and temporarily relocated to Sydney, Australia for a change of creative scenery. Attached in my next post is my full creative portfolio, but in brief, my skills span from writing and design, to video production and marketing. I believe my strongest tool is my prose. Writing has become my main focus as I have now published over 400 articles online. I look for the opportunity to foster new skills at all times, recently teaching myself a new application within the Adobe creative suite. I am well versed in WordPress and other publishing software, Microsoft office, and many of the Adobe CC applications including Illustrator, InDesign, and After Effects. I have a strong presence online, with admirable followings on many social networks including Twitter, Instagram, YouTube, 8tracks, & Facebook. Twitter (@hospey) being my weapon of choice, I have used my knowledge of social media marketing & engagement to make the most of each follower and connection. For example, I currently sit at 541 followers on Twitter with a documented 400,000 impressions in the month of February. Maximization of impressions is one of my greatest talents. In relation to the Chance the Rapper brand, as noted I am well versed. I have been to 4 concerts in 3 different cities and 2 different countries (an anticipated 3rd country in Sweden this summer). I sang along with “Wonderful Everyday” the first time it was ever performed. I submitted multiple university papers that studied Chance the Rapper in multiple facets including celebrification and rhetoric. As a part of the Chano Family on Twitter (the group chat that was responsible for starting the Grammy petition), I have been able to learn about many new quirks and facts through the stories & interactions of fans from around the world. I have converted countless friends into fans. I got my first Chance the Rapper retweet on the day the “Everybody’s Something” music video released in 2013. I traveled 15 hours for the opportunity to meet Chance the Rapper at a dodgeball game in Vancouver. Hell, I even accidentally leaked a Chance the Rapper song one time on my YouTube channel (my bad…). I learned how to be a strong, proud black man from Chance the Rapper. (Oh ya, I also once spent 5 hours making a website because Chance the Rapper tweeted out that he needs an intern). If there is anyone outside of Chicago that understands what Chance the Rapper represents, and is capable of lending an effort to continue to movement, it is me. I know when to take the reigns, but also how to function in a team environment. I have the skills, experience, knowledge, and drive to contribute to the team, and I look forward to discussing the opportunity further.